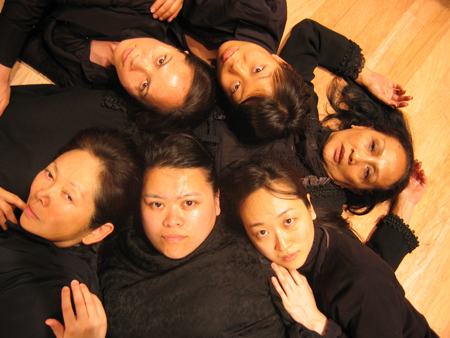 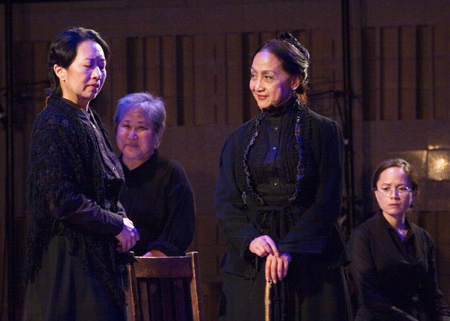 NAATCO’s all-female cast tore into their roles, crafting each character with such care and attention that after a few minutes you hardly noticed the actresses’ ethnicity. 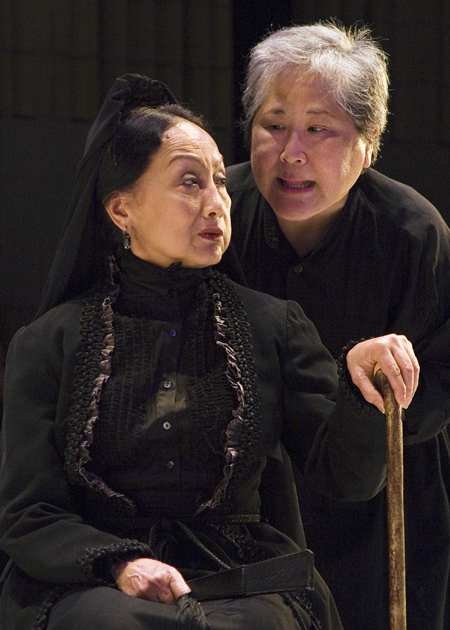 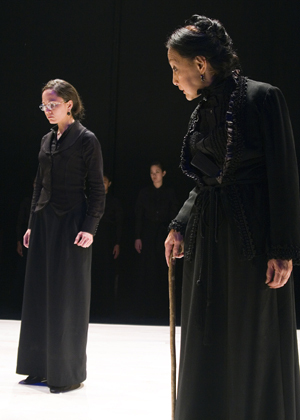 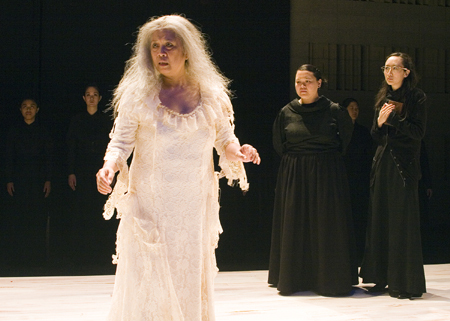 Ching Valdes-Aran is so entirely at home in Bernarda’s skin, she seems born to the role – when she issues an order, it’s clear why all who hear her obey… Chay Yew’s adaptation of Lorca’s masterwork adds a chorus of women who serve as neighbors in the story and who also provide the sound of rainfall, the clapping and pounding of a flamenco beat, and the crash of horse hooves against the house. 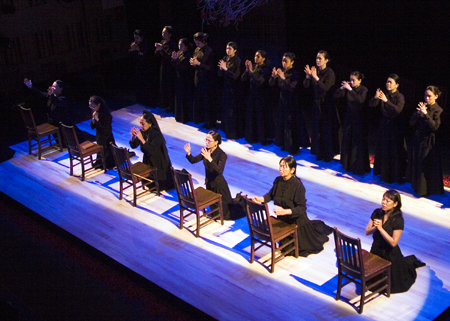 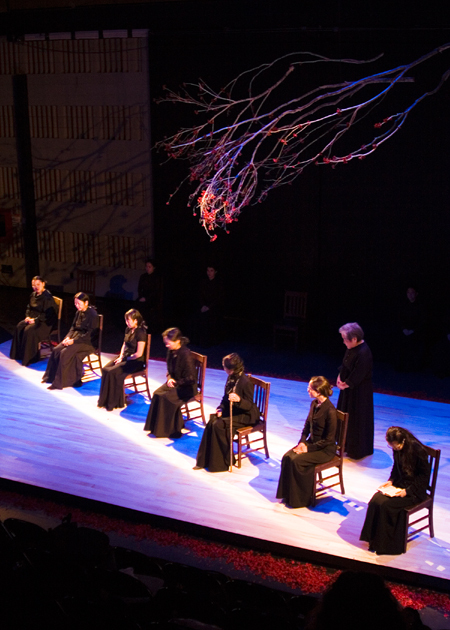 It’s in the use of the chorus that Yew’s version of the play is most successful.